Woodstock leads the way in the peaceful coexistence of awesome brews with great lifestyles, entertainment, and gear. Here you will find the latest on Woodstock Beers, Woodstock Gear, and the World of Woodstock! We make choices every day: to exercise, to learn, to make music, to party, or to cool out at a concert. Whether we hang with friends or spend time with the "fam," hike the mountains or sun on the beach, Woodstock is always there for you! Send mail to info@woodstockbrands.com with questions or comments about this web site. Copyright © 2001 - 2005 Grand Continental Incorporated. 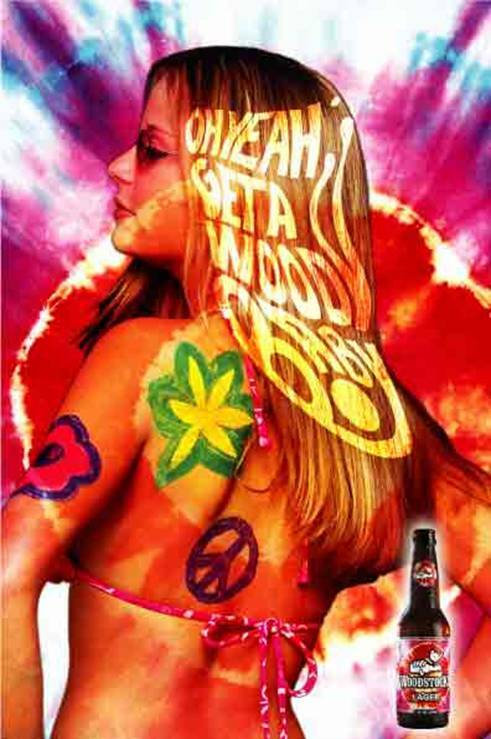 Woodstock Brewing Company, Woodstock Brands, Woodstock Beer Brands, and Woodstock IPA are trademarks of Grand Continental Incorporated. All rights reserved.